Carbon-neutral diesel is now a reality. Their base product, which they’re calling ‘blue crude’ is created using a three-step process. The first step involves harvesting renewable energy from sources such as wind, solar and hydropower. They then use this energy to split water into oxygen and pure hydrogen, using a process known as reversible electrolysis. 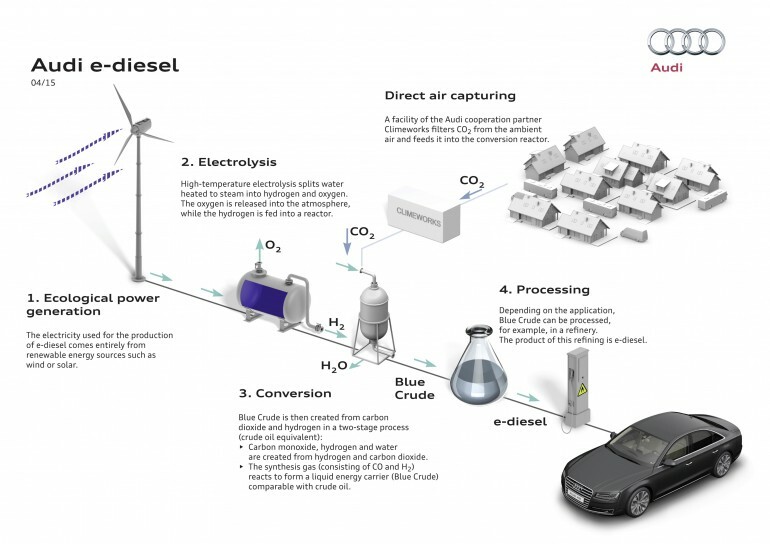 Once it’s been refined, the resulting e-diesel can be mixed in with our current diesel fuel, or used on its own to power cars in a more sustainable way.